GNA University conforming to its standards of giving 100% placements had organized campus drive of various companies for students of School of Innovative Techniques (CAD/CAM). Shining Carz based in NCR region shortlisted 9 candidates from 35 students after conducting written test, group discussion and personal interviews. Devendra Chaudhary Director (IIT Delhi Alumni), Shining Carz congratulated Mr Gurdeep Singh Seehra, Pro Chancellor GNAUniversity & CEO GNADuraparts Limited, for running CAD/CAM course which is bridging down the gap between educational institute and industrial requirements. They also discussed with Mr C R Tripathy Principal, School of Innovative Techniques (CAD/CAM) that GNA University is the best in northern region in terms of industry institute interface activities and the commitment of the students towards their job. 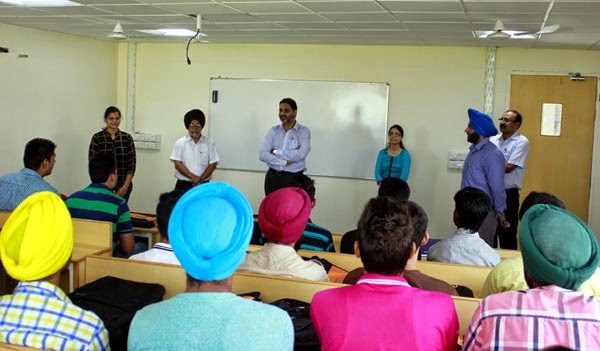 CAD/CAM students had been placed in various prominent industries like Rockman Industries, Falcon Autotech Ltd, Luminous Ltd, New Era Machines Ltd, and Leader Valves Ltd. Dr Tejwant Singh Registrar GNA University also graced the occasion with his presence. GNA University celebrated Teacher’s day. 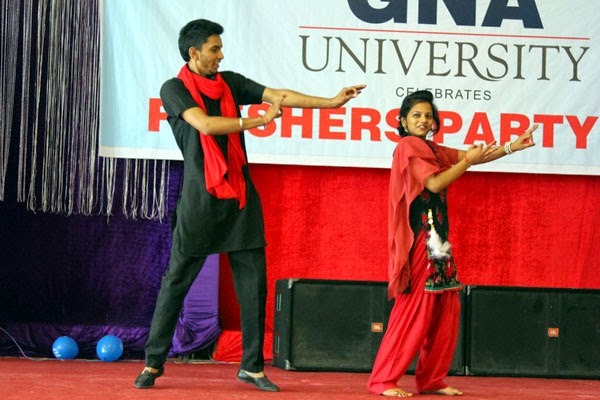 GNA University students celebrated teacher’s day with enthusiasm at its campus. The students put their heart into making the function a memorable one for teachers. A cultural program, prepared and executed by the students was presented for the university satff. S Gurdeep Singh Seehra CEO GNA Duraparts Ltd and President SASECT blessed them and motivated the students to widen their horizon and learn to see things in a broader perspective. The interaction helped both teachers and students to understand each other better. This auspicious day bridges the gap between the teacher and taught and helps them to understand each other more easily. The students brought the cake to show their affection towards faculty members and also distributed the gifts. Dr Tejwant Singh, Registrar GNA University, Dr S K Singla Director GNA-IMT, Mr Sunil Sarad GM Corporate Affairs GNA IMT and Mr Bhupinder Singh Head HR GNA-IMT graced the activity by their presence. Plantation Drive by GNA UNIVERSITY. 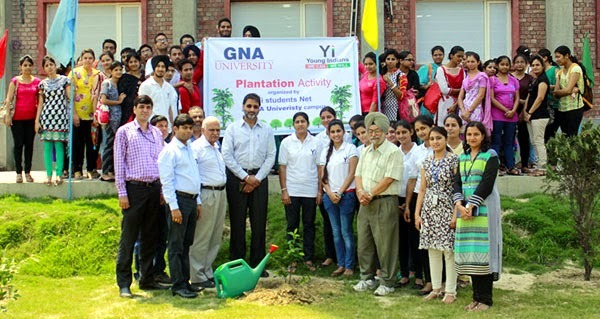 GNAUniversity organized plantation activity at its campus as an earnest effort for conserving the ecology. This initiative was part of the Yi student Net activity where the students demonstrated their environmental responsibility. The drive involved the planting of various indigenous saplings that are appropriate to the local surroundings and was an attempt to educate the students on how their small efforts towards a noble cause can bring a huge difference in the present scenario. 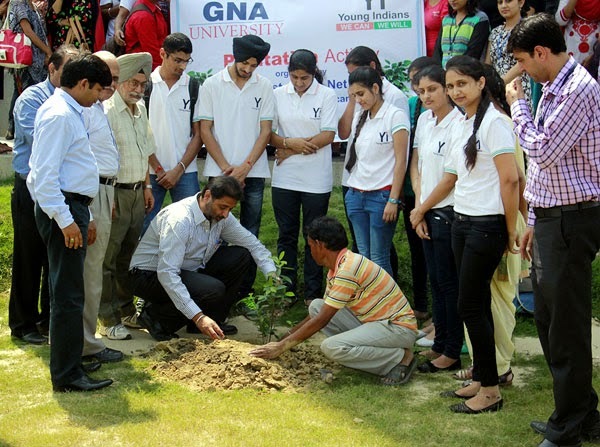 S Gurdeep Singh Seehra, CEO GNA Duraparts Limited and President SASECT initiated the plantation drive and motivatedthe students to conduct more environmental related activities. Through this campaign, the students of the university werenotonly involved in a healthy exercise but it also made them learn about team work and filled them with a sense of responsibility, love and compassion. Dr Tejwant Singh, Registrar GNA University, Dr S K Singla Director GNA-IMT, Mr Sunil Sarad GM Corporate Affairs GNA IMT and Mr Bhupinder Singh Head HR GNA-IMT graced the activity by their presence. 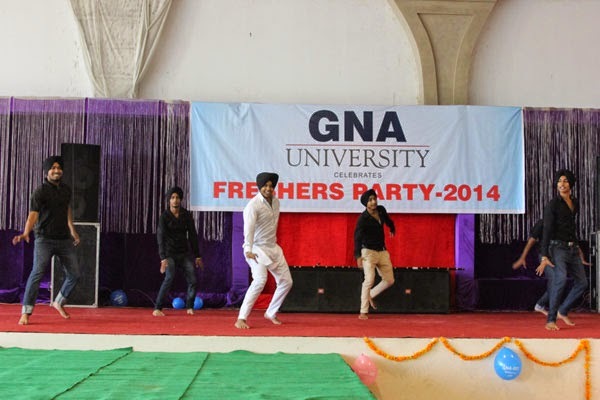 GNA UNIVERSITY Organized Fresher’s Party. 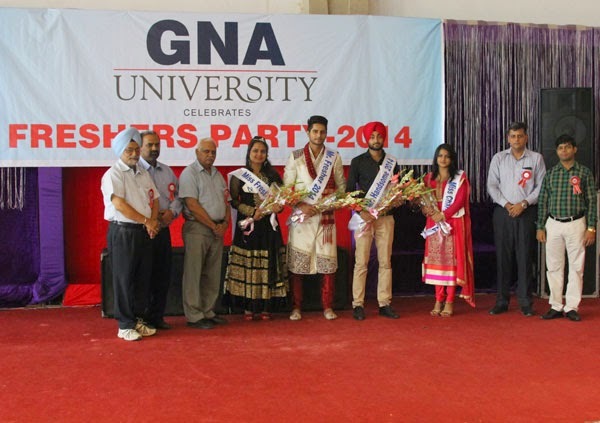 The Fresher party was organised by GNA University for ­ 2014 batch students at Phagwara. The event was inaugurated by S.Gurdeep Singh Seehra, President SASECT & CEO GNA Duraparts Limited, by lightening the lamp. The ceremony was celebrated with fun, frolic, smile and rejuvenated spirit. Seniors did all that it takes to make the newcomers feel at home by throwing a great party for them All the students participated in the event with great enthusiasm. The fresher’s batch was also not behind in giving splendid performances. The senior batch whole heartedly extended a warm welcome to their juniors. All the events were artistically and beautifully presented in colours as well as style. The audience were kept enthralled for three hours by mind blowing performances and spirit of bonhomie and friendship echoed during the event. Mr Nitin of BAMT I and Ms Ramandeep kaur of MBA I were selected as Mr. and Ms. Fresher whereas Mr. Handsome and Ms. Charming were Sanjit Singh of BCOM(P) I and Komal of BCOM(P) I. S Gurdeep Singh Seehra congratulated the students, wished them good luck for their future. The occasion was also graced by Dr Tejwant Singh Registrar GNA Univeristy, Dr. S.K. Singla, Director, Mr. Sunil Sarad, General Manager (Corporate Affairs) Mr. C R Tripathy, Principal CAD/CAM, Mr. Bhupinder Singh, Head HR. Later in evening students rocked the dance floor on the beats of Dj. Orientation for 2014 Batch of School of Engineering Held.